Does anyone know the reasons for the fan evolution we see? 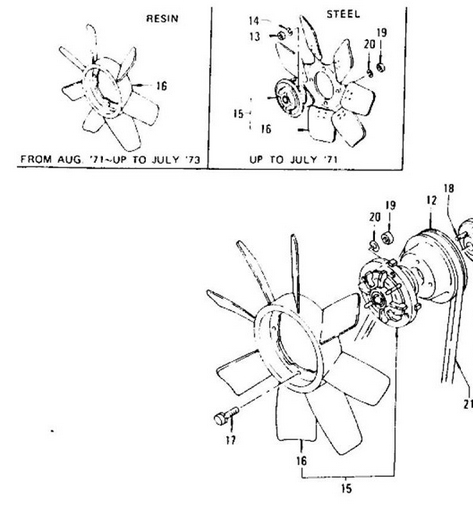 My 71, #08750, had the seven blade metal fan. Put simply, I see models with aircon needing multi-blade fans. 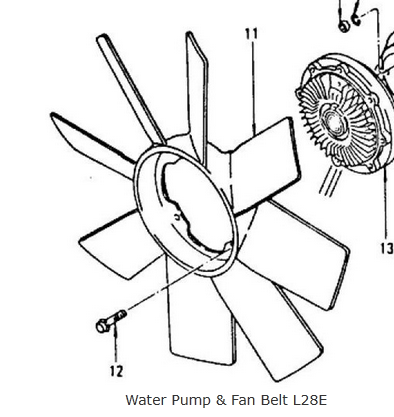 Factory parts lists show simpler fans for non-aircon models vs multi blade for aircon and - possibly - hotter climate. The one tends to go with the other. I would imagine the multi-blade nylon fans as being easier to make/cheaper than the multi-blade steel fans once the tooling had been manufactured. 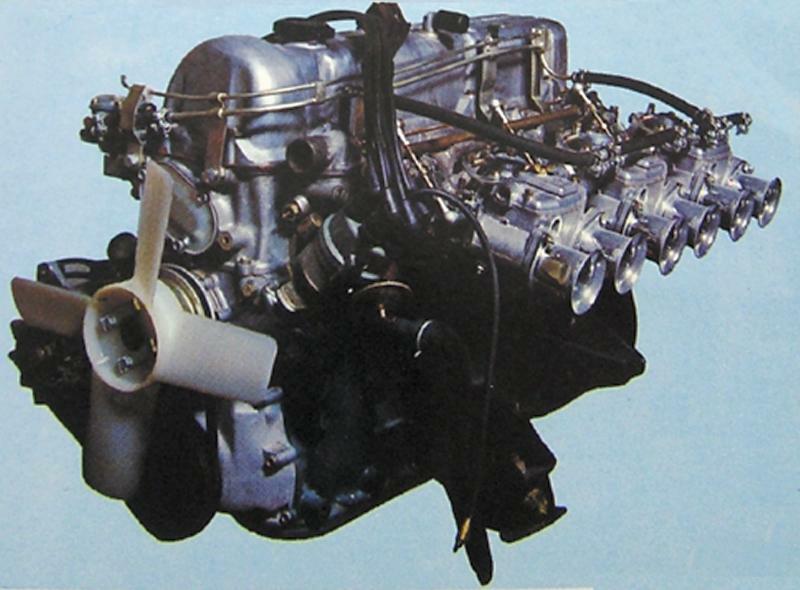 Early on the L24’s suffered premature water pump failures with the 7 blade metal fans. Nissan redesigned the water pump castings to strengthen them. Still the metal fans were wearing out the water pump bushings, and in some cases coming loose from pump and damaging hoods and radiators. 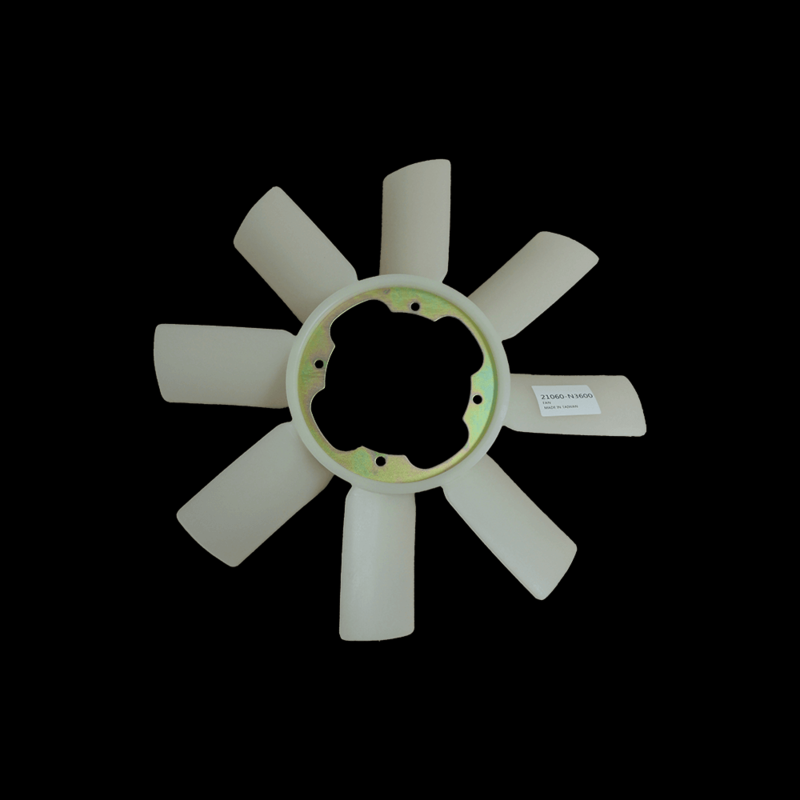 The 7 blade nylon fans reduce weight on the end of the water pump shaft increasing the useful life of the pump. 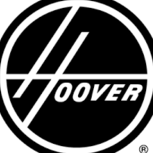 (as well as protecting the radiator and hood) The first 8 blade nylon fans were incorporated to improve cooling, as one of many attempts to get the 1973 Emissions Carb’s working in a reliable manor. 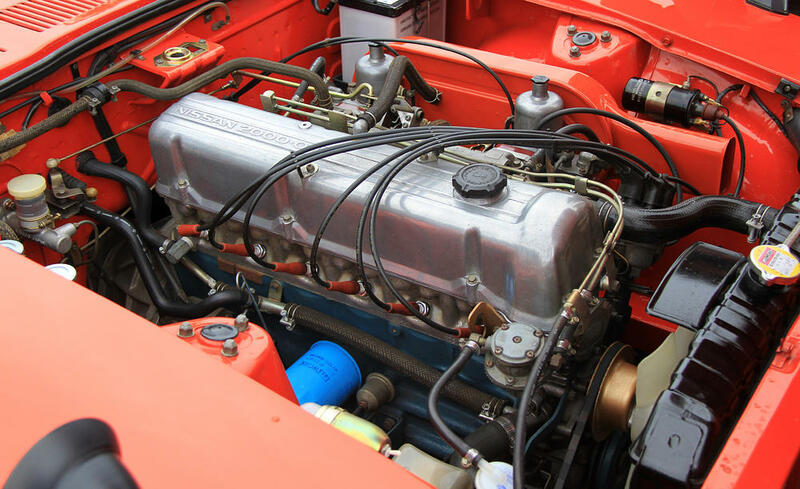 First an “air seal” was added to the radiator core support at the Dealerships, which sealed to the hood when closed. 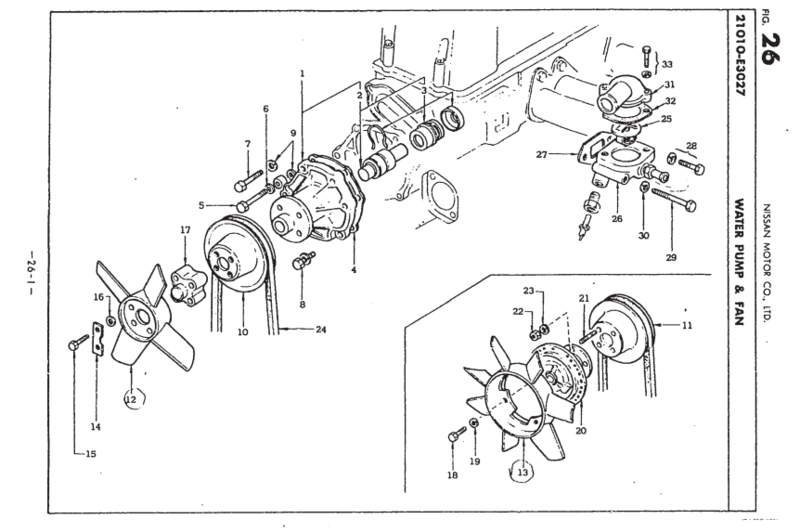 (inverted V shape metal with a rubber seal on top) It was intended to prevent the fan from drawing air over the top of the radiator. 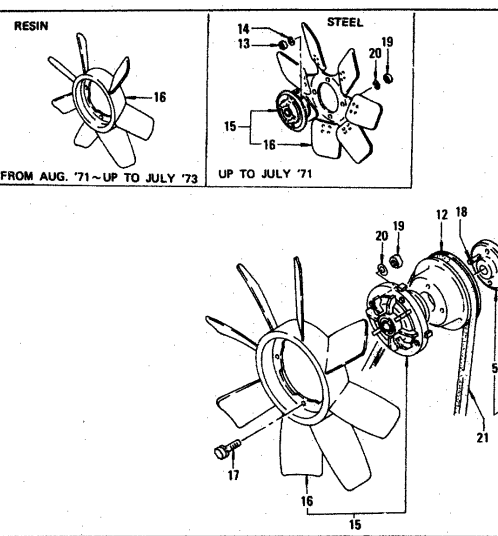 Early production 73 240Z’s were equipped with 15” - 8 blade nylon fans. 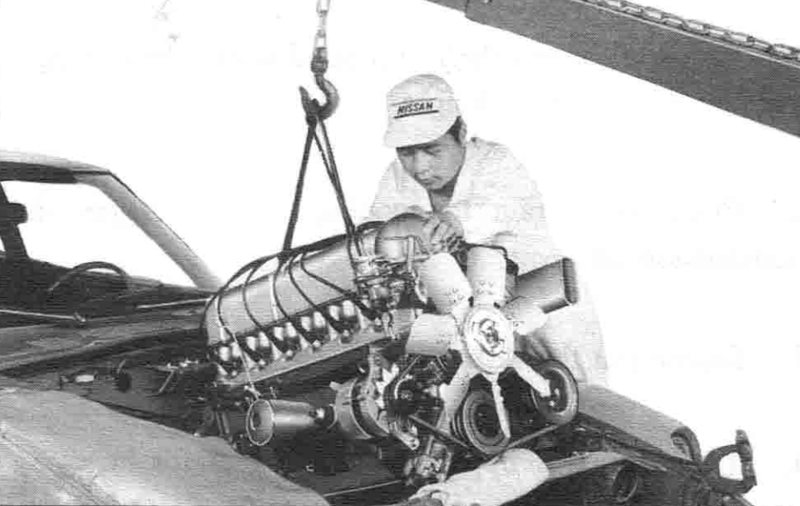 Later the “air seals” on the radiator core support were put into production. The one’s put on at the Dealerships were bolted on - the “air seals” put on at the factory were spot welded on. Finally a larger diameter 15 3/8’s 8 blade nylon fan was installed as part of the V-3 Modification Kit. 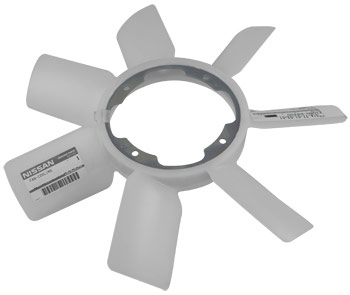 The part number for the 15 3/8’s inch fan 21060-N3310 for the V-3 Modificaiton Kit.